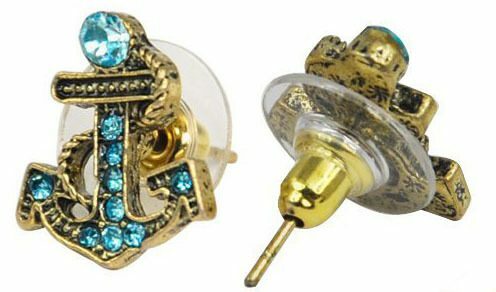 Retro Blue Crystal Anchor Earrings Only $2.74! You are here: Home / Great Deals / Amazon Deals / Retro Blue Crystal Anchor Earrings Only $3.19 + FREE Shipping! Retro Blue Crystal Anchor Earrings Only $3.19 + FREE Shipping! In the market for a new pair of earrings? Love anchors? Then, I have just the thing for you! These fabulous Retro Blue Crystal Anchor Earrings are just $3.19 with FREE shipping! How pretty are these?? I LOVE them! I totally wish my ears were pierced so I could get them!